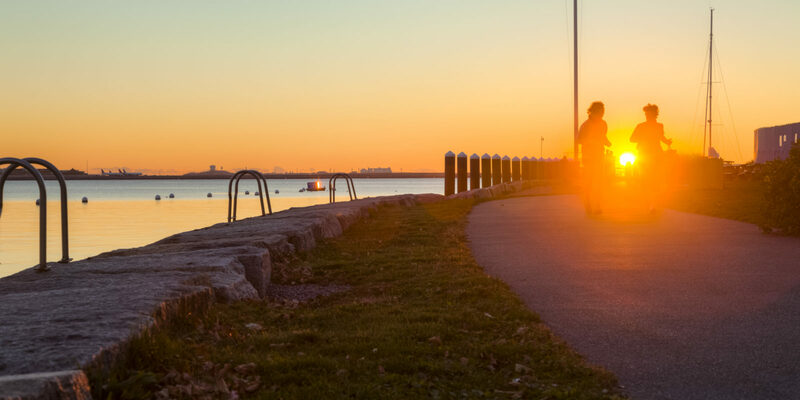 Catch the spirit of the Boston Marathon — one of the world’s most famous races — with these four scenic Boston-area running routes. In Boston, the third Monday of April is known as Runners’ Christmas. Why? It’s Marathon Monday: the most wonderful day of the year for a town that loves running. Each year, on the storied morning, close to 30,000 participants toe the marathon’s hand-painted starting line in Hopkinton, Massachusetts, for one of the world’s most famous races. After the gun sounds, it’s one foot in front of the other for 26.2 miles to downtown Boston. 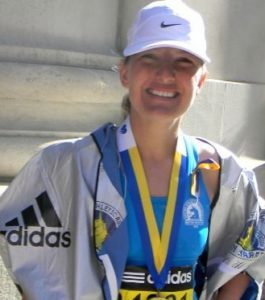 I’ve run the Boston Marathon twice, and from the screaming tunnel of Wellesley College coeds around the halfway mark to the whooping throngs atop Heartbreak Hill in Newton, the energy along the course is frenetic — there’s nothing like it. But you don’t need to be a long-distance runner to capture the spirit — and the views — of Boston. Whether you’re in it for the long haul or just a short jog, lace up and hit one of the area’s top running routes. Cruise along the Boston Marathon course. You can get a taste of the epic racecourse with an out-and-back run starting at the finish line on Boylston Street. But my favorite stretch is between (roughly) miles 17 and 22, in Newton, accessed via the Boston College stop on the MBTA’s Green B line. There, the carriage roads along Commonwealth Avenue are lightly trafficked and generally cleared of snow all winter long. As you tread the path taken by so many before you (the Boston Marathon turns 122 this year! ), keep an eye out for the Young at Heart statue. Located near the intersection of Commonwealth Avenue and Walnut Street, it depicts legendary local runner Johnny Kelley as a 27-year-old winning his first Boston Marathon in 1935 — and as a sprightly octogenarian crossing the finish line (he hung up his kicks in 1992 at age 84). Feeling inspired yet? If you’re in town for the Boston Marathon, catch the action in Kenmore Square (Mile 25). There’s usually a home game at Fenway Park, so between Sox fans streaming off the train, screaming Boston University spectators and runners sailing by, it’s the best place to be on the best day of the year in Boston. 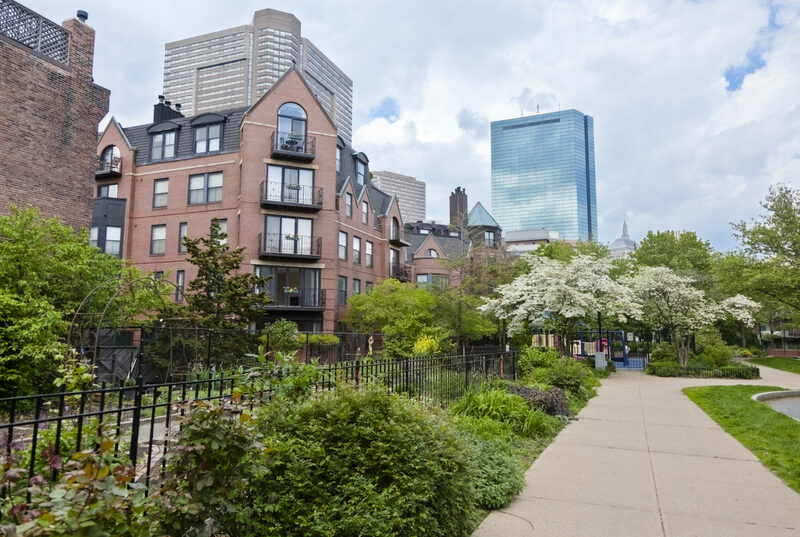 Explore Boston by foot via the Southwest Corridor. Thanks to vehement protests in the 1960s, land that was earmarked for a 12-lane highway is now the Southwest Corridor — a 4.7-mile, 50-acre linear park linking Boston’s South End, Back Bay, Roxbury and Jamaica Plain neighborhoods. Flanked by community gardens, this paved rail trail winds past several stops on the MBTA’s Orange line. In other words, you can run to the end and take public transportation back. Need a pick-me-up along the way? Pop by Samuel Adams Brewery’s shiny new Jamaica Plain taproom, only steps off the path, to sample the just-anointed official beer of the Boston Red Sox. Fly around Fresh Pond Reservation. For the best scenery, jog around the flat, leisurely two-and-a-quarter-mile loop around this glacier-made reservoir in northwest Cambridge. Along the way, you’ll pass by such idyllically named landmarks as Lusitania Woods and Butterfly Meadow. Birdwatchers from around the region flock here to spot hawks, herons and owls. It’s so pretty, you won’t mind circling a second time to up your mileage. That’s probably why the Cambridge Sports Running Union has hosted free Saturday races at Fresh Pond for years; just show up a bit before 10 a.m. and choose one loop or two. Prefer running in a group? Northeastern University alumni and former rowers Brogan Graham and Bojan Mandaric started the free fitness movement November Project in 2011 in Boston. Check the workout calendar on the November Project website and sweat it out with the crew. 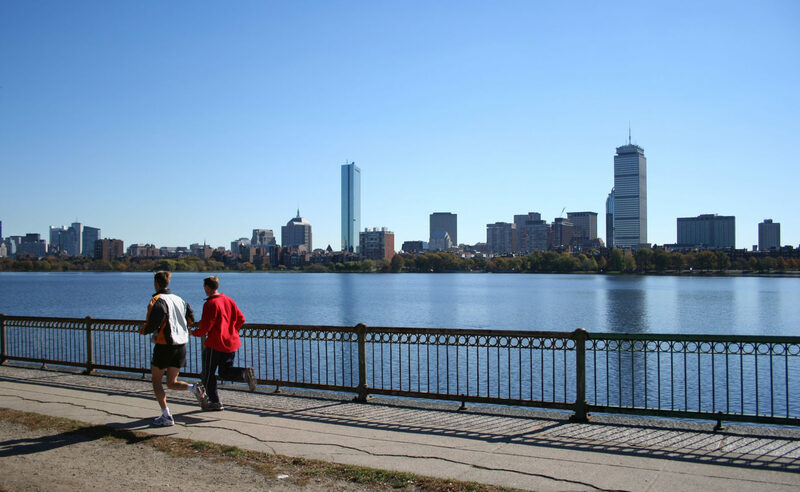 Get your miles in along the Charles River. 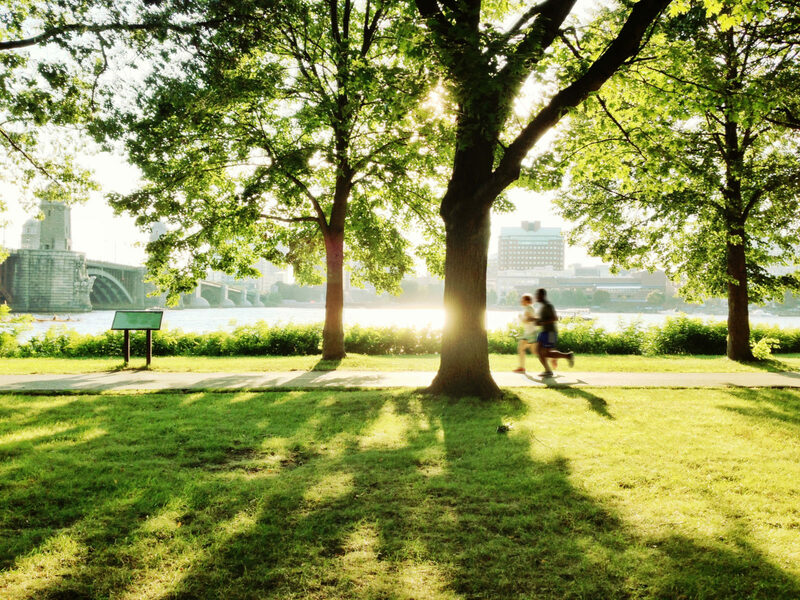 Twenty-plus miles of trails along the Charles River, dividing Boston and Cambridge, make for the ultimate training ground. Indeed, every seasoned marathoner knows the distances between various bridges spanning the water; a jog from the Museum of Science to the Weeks Footbridge, near Harvard University’s campus, for example, is just over eight miles roundtrip. In warmer months, there are several water fountains operating along this beloved route. And no matter the time of year, the Boston skyline is a constant companion as you weave through the Lycra-clad masses.